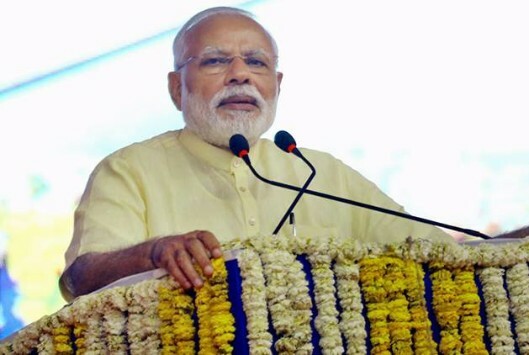 After the BJP’s astounding victory in Assembly polls in Uttar Pradesh and Uttarakhand, prime minister Narendra Modi , who led the party campaign, thanked ‘karyakartas’ for their hardwork and all the people who reposed faith in the party. “Am overjoyed that BJP has received unprecedented support from all sections of society. Huge support from the youth is gladdening. I salute the hardwork of BJP Karyakartas. They have tirelessly worked hard at the grassroots level & won the confidence of the people.” PM Narendra Modi congratulated Amit Shah, party office bearers and state units “for their exemplary work in taking the party to new heights,” he said in a series of tweets. In Uttarakhand, the BJP, yet to name a chief ministerial candidate, was victorious in 56 seats pushing the incumbent Congress party down to 12 seats. Chief Minister Harish Rawat tasted defeat in both seats – Hardwar rural and Kichha. In Goa and Manipur, both national parties have not been able to obtain a simple majority thereby having to beg the support of the independents and other parties.